Указывает возможность спортивных часов отображать примерное потребление калорий. Указывает, могут ли спортивные часы контролировать пульс и отображать его на дисплее. Пульс важен для того, чтобы улучшить свои тренировки. Указывает, есть ли в спортивных часах функция рекомендаций по тренировкам, которая поможет выбрать из уже готовых программ для тренировок. Указывает, могут ли спортивные часы определить индекс массы тела, который определяет степень избыточного веса. Указывает, могут ли спортивные часы, в отличии от других параметров и настроек рассчитать уровень физической подготовки. Указывает, могут ли спортивные часы указать приблизительную скорость передвижения. Указывает, могут ли спортивные часы указать приблизительную дистанцию, которая преодолена во время тренировки. Указывает, входит ли в спортивные часы функция отображения времени. Указывает, могут ли спортивные часы установить сигнал будильника. Позволяет измерить точный период времени, который позволяет установить, как долго длилось какое либо действие. Определяет водостойкость сопротивленых часов, поэтому можно определить, сколько воды часы способны выдерживать. Водонепроницаемость: способны выдерживать брызги и дождь. 30 метров: в состоянии выдержать погружение, но не плавание. 50 метров: способны выдерживать плавание в небольшой глубине. 100 метров: способны выдерживать погружения без специализированного оборудования и плавание. 200 метров: в состоянии выдержать подводное плавание. Adjustable or stretchable strap around your hand for kids, customizable colorful screen and battery life for over 1 year - no need to charge the device. Sync with a free app that includes task manager and graphics alert features for parents. 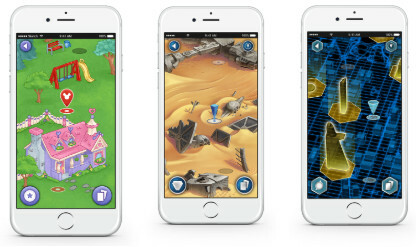 Children can continue their Mickey's Birthday Surprise, BB-8's Adventure or Ultron's Revenge adventures (depending on device set-up) when they complete 60-minute daily activity goals. This swim-safety activity monitor for children is strong enough to survive the child's playing times, with a replaceable battery running over 1 year means no need to charge the device. Parents monitor the executables and pay for them using an older app on the smartphone while children enjoy adventures on the device based on the device strap. Durable vívofit jr 2 has a customizable colorful screen and a comfortable strap around the hand. Your child can show his style and play, play football, bath or sleep without removing the device from your wrist. The rechargeable battery will last for more than a year without having to charge the device. Take Mickey's Birthday Surprise: A Disney Adventure Adventure! The adventure is available on devices 010-01909-10 and 010-01909-00. Every day, the child reveals new in-app adventures as they reach their daily 60-minute activity goals, allowing them to achieve the best in themselves. With you as his helper, your little one can go along with Minnie Maus and her friends in planning a birthday party for Mickey Maus. Decorate the party with Daisy Duck, cook the cake with Spruce and prepare for the whole feast, but do it so that Mike does not know about it before time! Take BB-8's Adventure: A Star Wars story adventure! The adventure is available on 010-01909-11 and 010-01909-01 devices. Every day, the child reveals new in-app adventures as they reach their daily 60-minute activity goals, allowing them to achieve the best in themselves. With you as a second pilot, your little rival will go along with BB-8 and Zepha as they search for adventures on the planet Jakka. Look for missing items in lost space ships, catch smuggled Queen Little Kanat and help save your friend, BB-8, when his fate is in danger. Take Ultron's Revenge: A Marvel Avengers Adventure! The adventure is available on 010-01909-12 and 010-01909-02 devices. Revenge to unite! If you are his helper, your little character will go with Captain America and Avengers on an adventure in New York City trying to defeat Ultron. Meet the unlucky Iron Man Tony Stark Lab, help Toram capture Neroli Loki and even accompany Black Widow in a particularly secret S.H.I.E.L.D. missions. Parents use a free mobile app to manage vívofit jr. 2 activity supervisor. They can look at activity, children's duties, sleep, and more, after having synchronized3 with a compatible Apple®, Android™ or Amazon Fire Tablet device. With the app, you can add profiles to multiple children to see each of their steps in daily, sleeping, daily activities, and work-related data when you synchronize activity activity with your mobile device. Invite the whole family to take part in the challenges of everyday steps, add tasks and tasks, specify the value of reward coins, and see how much money your little one has already earned. This coin app can be used by children to get the award you have previously agreed on. All of this is controlled directly from your mobile device! Children will find out how fun and rewarding it can be to do daily work. Using vívofit jr. 2, parents can create tasks and plan reminders in their mobile app on a smartphone, while the child's activities monitor them to show them their new jobs. These jobs can be set up every week or even every day - perfect for children who need a little reminder. And for those little ones who tend to postpone themselves later, plan reminders in their parent app to vívofit jr. 2 can remind them to complete their homework, brush their teeth or do other things. The reminder icon shows children what duties they have to take. Then the child can start the task with a timer so that they know how long they have been given. Give the children the power! Is your little one ready for some additional duties? Activating Kid Mode mode vívofit jr. In the app, you can give the child limited access to monitoring and checking the tasks assigned to you and accessing their in-app adventures. It's easy! Join the app on your child device, turn on Kid Mode, and create a password. A password is required to customize tasks and determine the number of coins, so your little one will not be able to modify these features without your permission. Friendly challenges in the playground or in the yard. The Toe-to-Toe™ challenge steps allow children to synchronize with their friends to challenge one-on-one challenges, or challenging themselves, in a series of races for the duration of the race. Once the time has elapsed, they can look at the number of steps in the challenge and find out if the rival or the best result is overrun. All of this is controlled directly from the device to the wrist. Download the Connect IQ™ app to challenge your kids to the competition yourself. vvofit jr 2 allows your child to access more style and adventure in the app. All they need is a new strap around their hands to open up new, adventurous worlds. What will happen next? 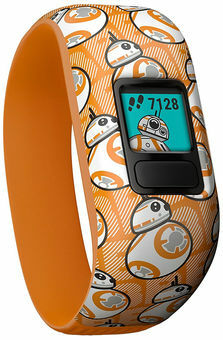 Follow the activity and take part in galactic event experiences with the Star Wars theme strap? Or will your child use the stylish Minnie Mouse strap to participate in the magic of the app's adventures? It depends on your little one!